hardened scales and my Evolve/enchantment deck, Trigger timings? 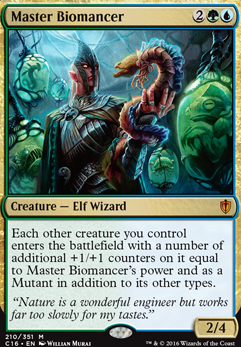 Each creature you control enters the battlefield with a number of additional +1/+1 counters on it equal to Master Biomancer's power and is a Mutant in addition to its other types. Master Biomancer is an amazing card. If you're asking me for cuts, though, I'm not sure. Personally, looking at your build, I would probably cut Biomancer's Familiar . As your build runs a total of 4 activated abilities and 1 with adapt, I think it doesn't go as far as other cards might. Granted, biomancer's familiar is a great card, but I think it requires some build-around. I noticed you have Ooze Flux on your maybeboard. I don't know if you've tried it in your build, but it has worked phenomenally in mine. Simply Ooze Flux + any of your creatures with evolve can give you and endless supply of ooze by itself, and being able to stack that on top of things like Corpsejack Menace or Master Biomancer or any token/counter doubler.. It gets insane. There's nothing quite like pumping out 16/16's for two mana each. I would go as far as to say it is one of the most powerful cards in my build, as well as a personal favorite. 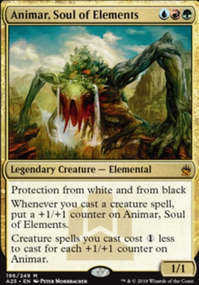 If a player controls a Doubling Season and a Master Biomancer and then summons Ghave, Guru of Spores , how many +1/+1 counters will Ghave have? I presume that it shall have 14, since it normally would have five from itself and two from the biomancer, for a total of 7, and 7 doubled is 14. 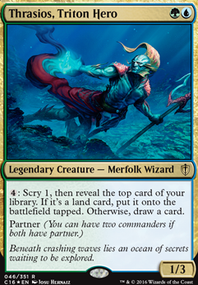 Cut Zegana, Utopian Speaker for Vorel of the Hull Clade . I think around the same block I tried running an evolve deck, it was just a bit too slow to keep up with others, so I eventually 'evolved' it into this strange counter based system that was effectively placing out huge creatures on turn 2/3 due to the ramp it had that synergized well with Nykthos, Shrine to Nyx . I'm running out of fingers! Kept the deck list because that's how proud I was when I was dominating my local game locale with it. Keep it up though, evolve is a fun mechanic to toy around with. Jarad, Golgari Lich Lord - Good alt win-con here that doesn't rely on combat. Herald of Secret Streams - Another finisher here. Necropolis Regent - Close enough to your price lol. Thrummingbird - Really good here. Winding Constrictor - Another good cheap card here. Ready / Willing and Unbreakable Formation - Protect your board... on the cheap. Now just a few all-stars in the $2-$3 range. 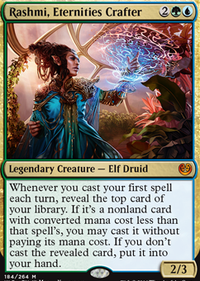 Vigor , Master Biomancer , Bloodspore Thrinax , Shalai, Voice of Plenty , Beast Within , Swords to Plowshares , and Imprisoned in the Moon .